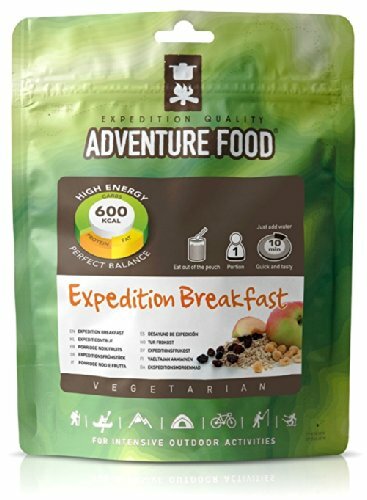 Adventure Foods Breakfast range are nutritionally balanced and offer a good level of energy. With three options you’ll have no problem finding a breakfast that’s hearty, filling and right for you. Ingredients: oat flakes, milk, sugar, raisins, wheat flakes, hazelnuts, apple, palm oil, saltnutritionally balanced and offer a good level of energy.